Home › Learning Center › Psychological tube dependency – what is it? This phenomenon affects mostly older children, from the age of 1.5 years upwards. While babies who have learned to drink when the tube has been removed somehow “forget” about the feeding tube, older children, who have already developed ego-consciousness, accept the tube as part of their identity. These children have learned that they differ from other people who have no tube in their belly or nose. Furthermore, they realize that they are nourished differently than other children – while the group of children in kindergarten prepares for lunch, for instance, the child leaves the room with a caregiver to receive their tube feed. When looking in the mirror, the child perceives the tube as part of themselves, and even on self portrait drawings, the tube can often be found. Many children start pointing at their tube when they feel hungry. They don’t associate the feeling of hunger with their oral region! Many children are afraid that “the tube is taken away from them”. The children have built their own relationship with the tube. Feeding comes through the tube. Eating is foreign to them; they react to food proposals with disinterest, refusal, or disgust. Due to this strong attachment, many parents consider the tube as a “necessary evil” and develop a co-dependency. The feeding tube is a means to an end, a “safety net”. As you see, the phenomenon of tube dependency is quite complex. The situation is also quite burdensome for the parents. Sometimes, even siblings develop feeding/eating problems. To treat this phenomenon adequately, an interdisciplinary team, including psychologists and psychotherapists, is crucial. Both children and the rest of the family must receive close support. The problem must be detected and then approached in little steps, without pressure or force. 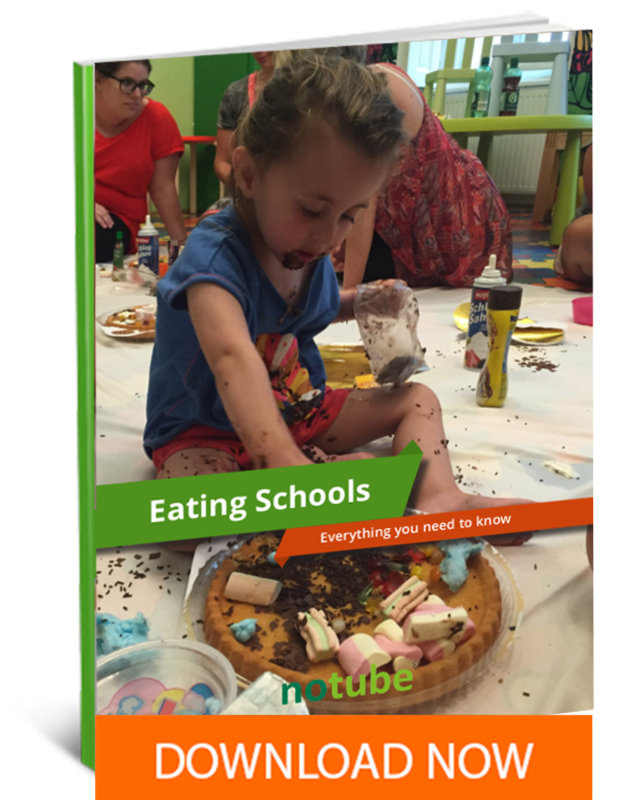 The ultimate goal is for the child to live a happy, tube free life and experience the joy of oral eating! We at NoTube are ready to assist you with this process. NEXT ARTICLE NoTube at the turn of the year – and things to get excited about in 2018!